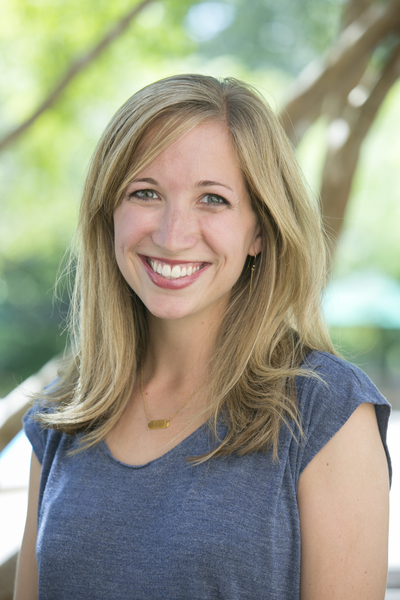 Ashley George joined the Samford faculty in the Fall of 2014, after earning her Ph.D. at The University of Alabama. She loves teaching and mentoring Samford students and serves as the faculty advisor for the Communication Studies department’s honor society, Lambda Pi Eta. George’s primary areas of research are in social support behaviors among close family relationships, specifically in a health communication context. George enjoys exploring the intersection of social support and decision-making processes related to one’s health as well as supportive networks’ influence on coping with health crises. She is an interdisciplinary researcher, both with other scholars on Samford’s campus and with health practitioners in the Birmingham area. She has presented research on social support at national and international conferences. In 2012 George was awarded “Excellence in Teaching by a Doctoral Student” for the University of Alabama and in 2016 she was awarded “Professor of The Game” at Samford University. When not at Samford, George enjoys reading, hiking, exploring Birmingham’s culinary scene, and traveling with her husband, Thomas. She and Thomas reside in Homewood with their pup, Macey.